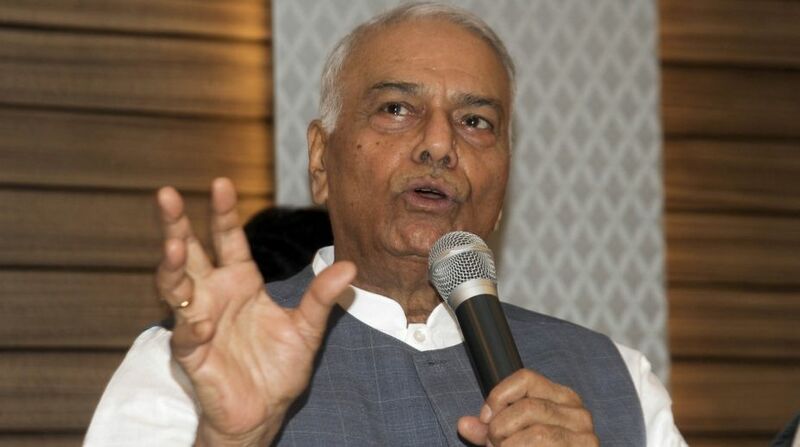 Firing a fresh salvo at the government, disgruntled BJP leader Yashwant Sinha today asked his party colleagues and ministers to “get rid of their fear” and “speak up for democracy” like the four Supreme Court judges who came out publicly against the chief justice. The former Union minister referred to the comments of the four judges to claim that the prevailing atmosphere was like the Emergency in 1975-77 and voiced concern over short parliamentary sessions. If Parliament is compromised, the Supreme Court is not in order, then democracy is threatened, he told reporters. “Every citizen who feels for democracy should speak up. I will ask party (BJP) leaders and senior cabinet ministers to speak up. I will appeal to them to get rid of their fears and speak up,” he said. Sinha, however, insisted that it was for the apex court to sort out the crisis after the four senior judges virtually revolted against the country’s chief justice yesterday, raising questions on “selective” case allocation and certain judicial orders. Like the Chief Justice of India in the Supreme Court, the prime minister is also first among equals in the government and his cabinet colleagues should speak up, he said. 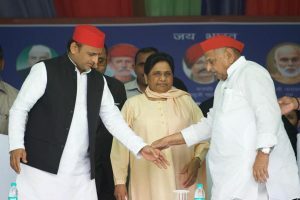 Sinha, who has been a vocal critic of the Modi government over issues like demonetization, GST, and Kashmir, claimed that he was “personally aware of the fear in which members of the cabinet in this government are working, and that also is a threat to democracy”. The BJP has in the past attributed Sinha’s scathing criticism of the government to his being sidelined in the party with Finance Minister Arun Jaitley once dubbing him as a “job applicant at 80”. Sinha was a cabinet minister in the first BJP-led NDA government and held finance and foreign affairs portfolios. In his press conference, Sinha also rejected suggestions that politicians should not wade into the judicial crisis, saying when four senior-most SC judges have gone public, it was no longer an internal matter of the court and it was imperative for every concerned citizen to raise his voice. Political parties and Parliament should speak when four senior-most judges had spoken about dangers to democracy, he said. Referring to the Winter Session and the first leg of the Budget Session to be held between January 29-February 9, Sinha said he had never heard of such short sessions and this was also a threat to democracy. Citing the four judges comments that sensitive cases were assigned by the Chief Justice of India to particular benches, he said it must be clarified which were these cases. “It is obvious that attempts have been made to manage some sensitive cases,” he alleged, adding “corrective actions must be taken. People should be told which are these cases”.